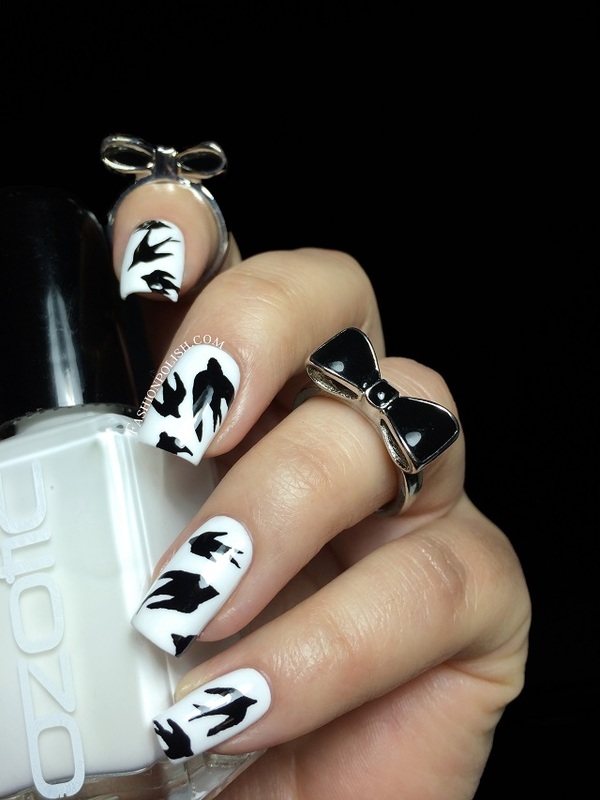 Fashion Polish: Ozotic Mr Big Swallow nail art! 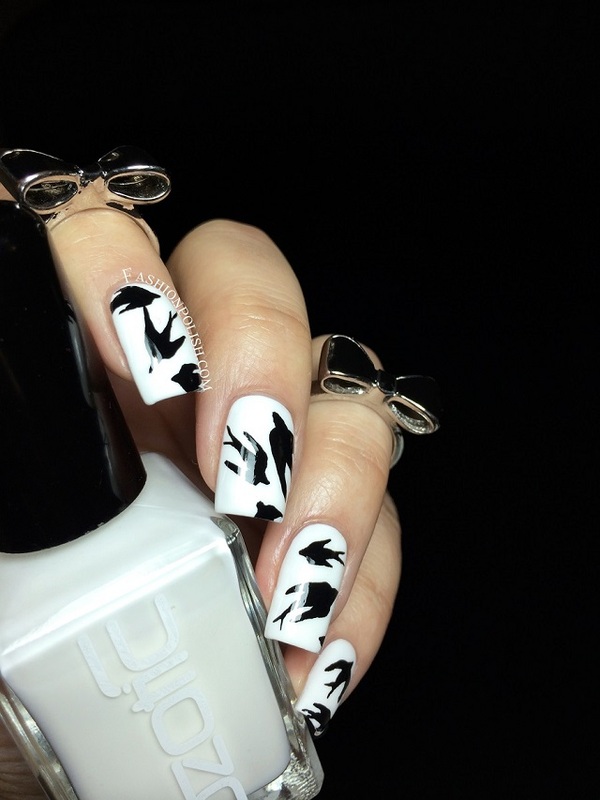 Ozotic Mr Big Swallow nail art! Earlier today I posted a picture of "blank canvas" nails, i.e. with nothing but Mr White on, asking for design suggestions or requests and a couple of lovely ladies suggested I should do Yin and Yang nails. 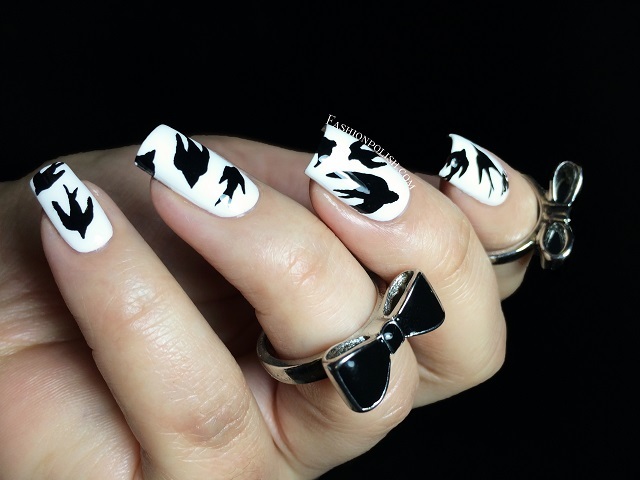 While I didn't take it literally, I loved the opposites concept and thought it would be a great idea to go for something delicate with Mr White when Mr Black's nail art was on the "fierce" side. To create this look, I started with 3 thin coats of Mr White, allowed them to fully dry and then free handed the swallows with acrylic paint before sealing it all with Mr Big topcoat. Ozotic Mr Big retails for AU$19 each (30ml vs 11ml for the regular range) and can be found online on piCture pOlish.com.au or through their international network.